Sarah-Matteo, Bea-Gerald, Dennis-Jennylyn: Who's next to get engaged? 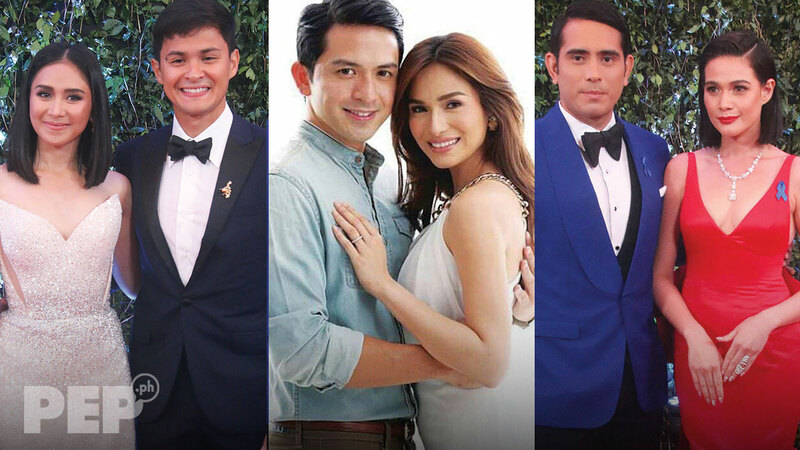 Sarah Geronimo-Matteo Guidicelli, Dennis Trillo-Jennylyn Mercado, Gerald Anderson-Bea Alonzo: Who do you think among these most-watched couples will march to the altar eventually? Showbiz love stories give fans the most thrill. They cheer them on when their favorite Pinoy celebrity couples celebrate their anniversaries. They get sad when they break up. They are happy when love teams end up for keeps. Popstar Princess Sarah Geronimo, 30, and Filipino-Italian actor Matteo Guidicelli, 29, confirmed their relationship in June 2014. Way before that, their fans had already been calling them AshMatt in the way of branding showbiz couples. Now on its sixth year this 2019, AshMatt has come a long way—literally and figuratively. In previous years, Sarah and Matteo kept their guard when asked about their relationship in interviews. But since last year, they have been more open about the details of their relationship, especially Matteo. Matteo, in fact, has been more expressive of his love for Sarah, even on social media. Like, when Matteo posted just this February his skydiving video. It was known to all that Sarah’s parents—Divine and Delfin Geronimo—frowned on any young man courting their famous daughter. Sarah reportedly had had relationships that were nipped in the bud because of her parents' intervention. But with Matteo, the singer-actress has stood her ground in defiance of her parents' wishes. It now seems to be all is well between Sarah’s parents and AshMatt. Matteo has also weathered nasty talks about him using Sarah to boost his career. For one thing, he is making it on his own. Apart from being active in showbiz, he manages the two branches of his family’s restaurant business, Da Gianni. Together with Nico Bolzico and Erwann Heussaff, Matteo has also joined the Philippine Coast Guard Auxiliary. In an interview last September 2017, Matteo explained why he and Sarah would not work together. “Because we want to save our relationship. “We know the true meaning of our relationship. It’s not showbiz, it’s real. About wedding plans, Matteo is not giving away any details. Just this February, Matteo denied that the diamond ring Sarah was seen wearing was an engagement ring. "It's too small!" quipped Matteo. But will he marry Sarah when he turns 30? “We’ll see. Hahaha! That’s the long-term dream goal. "Hopefully, one day. We'll see," he said. Compared to 2018, Bea Alonzo, 31, and Gerald Anderson, 30, are now more relaxed and vocal about their relationship. For them, love is not a bed of roses, and last year was the most challenging yet in their relationship. In March 2018, Gerald was romantically linked to Pia Wurtzbach when they did the movie, My Perfect You. In May, Bea admitted that she was “technically” single, but added that she and Gerald continue to communicate. In July, Bea and Gerald allegedly had patched things up. It was confirmed when photos of them together in Hong Kong circulated online in September. When Gerald celebrated his 30th birthday last March, Bea took to Instagram to greet him. Bea and Gerald started dating in 2010, but for some reason the romance was cut short. In 2016, Bea revealed that she and Gerald were dating again. In January 18, at the finale press conference of the recently concluded ABS-CBN teleserye Ikaw Lang Ang Iibigin, Gerald was asked about settling down with Bea. 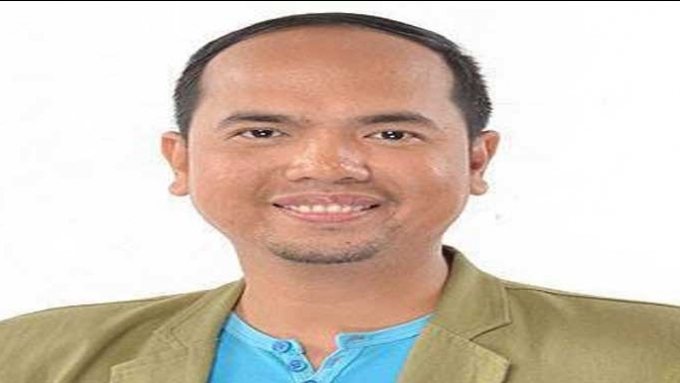 The Kapamilya actor said, “Mas malapit na siyempre dun, sa edad ko, siyempre kahit papa'no, mas mature [na ako], ganun. “Sabi ko, pag naramdaman ko lang, pag naramdaman ko na, oras na para gawin na. “But, hindi pa naman. Hindi pa. It’s still very fresh, and ini-enjoy lang, ini-enjoy ko. Jennylyn Mercado, 31, and Dennis Trillo, 37, are another celebrity couple having a second chance at love. The first time was in April 2010, but their nearly one-year relationship ended abruptly in March 2011, when a petty fight reportedly escalated into an argument that got physical. Years later, in the first quarter of 2016, Jennylyn revealed that she and Dennis had been exclusively dating. Since then, the two Kapuso stars had kept their rekindled romance low-key. In January 2018, albeit mincing his words, Dennis said the next step for him and Jennylyn would be marriage. “Yun na nga lang siguro ang kulang. Pero darating din yun. "Malalaman niyo din naman pag dumating na yung araw na yun," he said at the presscon of his primetime series, The One That Got Away. In February this year, Dennis denied that he and Jennylyn were already engaged. “Sa industriyang ito, siyempre kapag nag-propose, imposible namang hindi niyo malalaman!” he said when he was interviewed during the taping of the now-defunct Kapuso prime-time series, Cain at Abel. Dennis admitted though that he and Jennylyn had talked about wedding plans. However, he did not give specific details. “Wala... may plano kami pero hindi naman namin minamadali yung mga bagay. “Well, pinag-uusapan namin. Siyempre, hindi naman puwedeng hindi mapag-usapan yung mga ganung bagay. This June, Luis Manzano, 37, and Jessy Mendiola, 26, will celebrate their third year together as a couple. Theirs isn’t a walk-in-the-park relationship as it has been marred by intrigues since they began dating. Luis was accused of having overlapping relationships with ex-girlfriend Angel Locsin and Jessy in 2015. The Kapamilya TV host-actor denied the accusation through a social media post in 2016. Luis said he and Angel had broken up in January 2016, after getting back together the second time around. They first became a couple in 2007 and broke up in 2009. They reunited in February 2014, only to break up again two years later. The Kapamilya host-actor started dating Jessy in April 2016, and they became a couple two months after. Expectedly, they've been asked often if their engagement is forthcoming. Luis and Jessy regularly post about their relationship in social media, displaying how proud and happy they are to have each other. However, as to getting engaged, neither could specify any date. Luis said he wanted to keep the element of surprise. “Ayokong pangunahang pag-usapan kasi pag nangyari yun, it's when people least expect it—especially when she least expects it,” he said in an interview in August 2018. Just like the other couples, Luis admitted he and Jessy have had wedding talks. “Pinag-uusapan naman namin dati pa talaga, pero yung engagement, wala pa yun. “Sinabi ko naman na pag lumabas, darating din yung oras na malalaman kung saka-sakali man, pero hindi pa talaga. Meanwhile, Jessy revealed that she was just waiting for Luis to pop the question. “Mayroon po, pero it’s just a question of when,” Jessy replied when asked about wedding plans last March 29, 2019. Tom Rodriguez, 31, and Carla Abellana, 32, reportedly have been exclusively dating since early 2014, but the two have never divulged when they became a couple. Though they are on their fourth year as a couple, Carla and Tom still try to keep some details of their relationship to themselves. The two worked together in the 2013 GMA-7 prime time series My Husband’s Lover, which could have been the year that started a friendship that later on led to a relationship. They also teamed up in the teleserye My Destiny in 2014. Last January, Tom kept PEP.ph guessing when asked if he already proposed to Carla. “Sikreto,” he said. “Not in a rush, but it’s definitely working up to that, so it’s in the works. “Actually, most of it is there. So, konti na lang." Was he teasing or hinting? “I don’t wanna elaborate or reveal. Furthermore, Tom expressed he has been fixating on turning this dream with Carla into a reality. “I’m not gonna lie. I’ll be 32 this year. I’m not staying I’m in a relationship just for the sake of it. “I’m in it for the long haul, I’m in it for the long run. In February, Tom revealed in an interview that he and Carla have somewhat a live-in setup. The Kapuso actor explained that given their hectic schedule, making time for each other has become ia challenge. And going to Carla’s place to spend the night has become an option so they could see each other. “It’s the only way how to see each other despite our busy schedule. "So, for example, the past few shows that we had, ang hirap talaga. "Kasi kung hindi, kung sa condo ko ako diretso uwi, hindi kami magkakaroon ng time sa isa’t isa. "Sa traffic pa lang, talo ka na, e, may mga ibang trabaho ka pa.
"So, it really helps na we make time to see each other by going home to where the other person is,” he explained. Miss Universe 2015 Pia Wurtzbach, 29, and F1 racer Marlon Stockinger, 28, celebrated their two years as a couple last November 2018. The two reportedly started going out together in the last quarter of 2016 and became an item before the year ended. One year into the relationship, the beauty queen-actress revealed in an interview in 2017 that she and her race-car driver boyfriend have had talks about marriage. “I’m looking for somebody that I can possibly, potentially have a future with. "It’s definitely not happening anytime soon, but we’ve talked about that. "I think that’s normal na rin naman," explained Pia in an interview with Magandang Buhay. Also in 2017, Marlon said in an interview that he and Pia have been hard at work trying to smooth out their differences. “Every day, kahit anong oras, I can always call her, talk to her,” said Marlon about their relationship. “I’m just proud to have someone who has found herself as well as Pia. “I’m really glad I found my best friend as well. “I really feel like I have the most fun with her when we are just doing simple things together at the house. Probably one of the biggest tests of their relationship was when Pia got romantically linked to Gerald Anderson when they did the movie My Only You in March 2018. While Gerald and girlfriend Bea Alonzo had a falling out for a couple of months, Marlon stuck it out with Pia. There was no report that Pia and Marlon’s relationship was affected negatively. They kept quiet about it and their social media posts suggested that they were very much together. Last November 2018, Marlon surprised Pia with a dinner date, which he said Pia has been hinting to him. Apart from that “little surprise,” Marlon ended the post with a hope for more happy years with Pia. Miss World 2013 Megan Young, 29, and actor-host Mikael Daez, 31, have kept their relationship a secret for many years. It was only in February 2017 that Mikael publicly confirmed that he and Megan have been in a relationship for seven years. Mikael spilled out the reason why he and Megan never admitted their relationship before. The actor said it was because of the nature of their work; he was being paired with other actresses, while Megan had other leading men in her acting projects. “Ako, I wanted to respect her space and, at the same time, parang nasanay na tayo na hindi ko na sinasabi,” he explained in a 2017 interview. February 2018, or eight years in the relationship, Mikael stated that tying the knot with Megan is definitely their plan. "Marriage is definitely there, definitely pinag-iisipan namin, definitely pinag-uusapan namin, nag-a-attend kami sa mga weddings, di ba?” he said in an interview. He continued that he and Megan are patient and that there’s no need to rush things. “Nag-e-enjoy pa rin kami,” said Mikael. "Sobrang happy namin sa isa’t isa. "Inaalagaan namin yung mga kapatid namin, yung mga magulang namin. The actor added there came point when he and Megan really wanted to get married. But both decided it was not the right time, and the experience taught them to be patient. “I think, maybe at one point, medyo nagsalitan kami na ako nagra-rush, 'tapos siya. "Pero right now, confident ako at pinag-usapan namin recently, this year lang, we’re both patient." To date, Megan and Mikael are among Pinoy celebrity couples whose exciting adventures are deemed as #relationshipgoals.